If you’re looking for a reliable AWD car to drive this winter, you may be surprised to find that it’s a sedan, not a truck or SUV. These days, AWD vehicles bring to the table even more technology, features, and comfort than they used to. There are a number of affordable options, and a few that feature more luxury and performance, too. You have plenty of options when it comes to safety, premium features, and fun. You don’t need to spring for something big to brave the snow. Ford offers a high-quality midsize sedan and is well known for its family-friendly reputation and reliability. The Fusion features an all-wheel-drive system that is engineered for maximum traction in slippery conditions and enhanced handling to make driving comfortable. Trim levels like the Fusion SE, Titanium, and Platinum are set up with AWD and also offer Ford’s 2.0-liter EcoBoost engine. It has robust performance with 245 horsepower. The Fusion Sport comes with AWD as part of its standard package and has a 2.7-liter EcoBoost V6 with 325 horsepower. Buicks have always been reliable, but they just recently began to appeal to a younger generation of drivers with sleek lines and updated features. The LaCrosse was recently redesigned with a twin-clutch all-wheel-drive system and torque vectoring. This means it can send power to the wheels that need it most for the best traction in every situation. It also has the most up-to-date infotainment features for a luxurious experience inside. With driver-assistance technologies like automatic front braking or pedestrian detection, as well as a mobile hotspot and smartphone integration, you’ll be safe, and you’ll have fun. Most other manufacturers can’t beat Jaguar’s extended warranty coverage. It includes a 5-year/60,000-mile limited warranty including routine maintenance and 24/7 roadside assistance. Not to mention, it’s a sport sedan with AWD that features Intelligent Driveline Dynamics technology that can predict when you need optimum grip and prepare for it, even when you can’t. Audi has a distinct Quattro all-wheel-drive system for the A6 that features a 2.0-liter turbo engine with 252 horsepower. Going 0-60 in 6.7 seconds is no problem, but you’ll also experience impressive reliability with a capable AWD system that has been wowing drivers for years. Two years ago, Porsche moved into first place for J.D. Power Vehicle Dependability. It is one of the most reliable cars on the road with AWD, but it also has the power you want. With 550 horsepower, it can do 0-60 in 3.4 seconds and has a top speed of 190 miles per hour. Ask for the Sport Chrono package, and you’ll get a 4.0-liter turbocharged V8 engine and an 8-speed automatic transmission for serious driving capability. If affordability and dependability are on your AWD vehicle list, then Ford or Buick is the way to go. 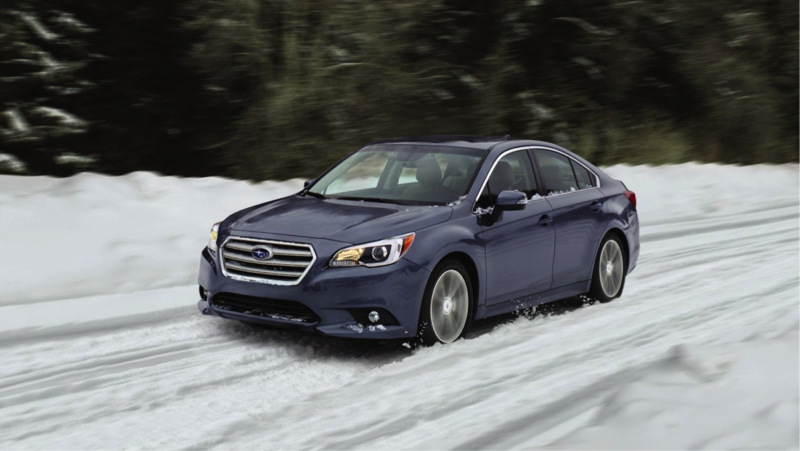 They offer midsize family sedans with AWD and the latest comfort and technology. If you want the ultimate driving experience with added safety in the wintertime, check out Audi, Jaguar, or Porsche. For all of your driving needs, check out Southwest Motors for a massive selection of cars, trucks, and SUVs. The BMW X5 was BMW’s first SUV and it made its way on the market in 1999, but it has greatly improved over the years and saw great success. However, the 2018 model will be the final model year for the third generation. That being said the X5 is a mid-size luxury crossover SUV that can be ordered with a diesel powerplant and all-wheel drive. It comes equipped with a power 3.5-liter inline six-cylinder diesel engine that is extremely powerful thanks to the twin turbochargers. With this SUV you can get right around 255 horsepower and 413 lb-ft of torque. The vehicle might be powerful all around but it is the low-end grunt of the engine that makes it perfect for snowy and slick conditions. This in combination with the xDrive all-wheel drive ensures drivers that they can rest assured that they will have the power and traction to get wherever they need to go this winter, regardless of the weather conditions. The Honda CR-V has slipped from its position as a crossover sales leader, but that still doesn’t mean that it isn’t a reliable or dependable SUV that can get you where you need to go. It offers great efficiency in combination with comfort and capability. With the standards CR-V EX AWD CVT you get heated seats, which is an excellent additional feature for winter weather. The vehicle is also highly aesthetically appealing on both the inside and outside. If things get hairy this winter you will have nothing to fear with the CR-V thanks to the standard Honda Sensing suite of safety features. Throw on a new set of cold-weather tires and you won’t have a problem navigating in the harshest of winter weather. When it comes to winter driving and all-terrain capability there really isn’t much out there that can stand toe-to-toe with the Land Rover line. However, it is the Discover HSE Luxury that really shines in the lineup. The Discovery offers heated seating along with all-wheel drive and the increasing popular Land Rover Terrain Response System. The seating for seven and that array of technology options available doesn’t hurt the overall presentation of the vehicle either. The head-up display and Meridian sound system are amongst some of the favorites. You can choose a catchy soundtrack and know that you are cruising safely this winter. Mazda vehicles have long been getting praises from their owners. These specific vehicles are well known for their fun-to-drive characteristics and the CX-5 compact crossover SUV certainly is no different. The all-wheel drive and heated seats just add to the overall experience. The vehicle also boasts one of the most attractive exterior designs that you will find in this class of vehicles. With nimble handling and direct steering, you can be confident that this vehicle will get you where you need to go this winter. These features come in handy whether you are trying to navigate snow drifts or dodge potholes.